In 1988, N.W.A released the album “Straight Outta Compton.” The album’s titular first track opened with the spoken line “You are now about to witness the strength of street knowledge” and ended with the bold full stop, “Damn that sh*t was dope!” In the four minutes in between, NWA redefined more than just hip hop as their fiery controversial lyrics left a lasting impact on popular culture. 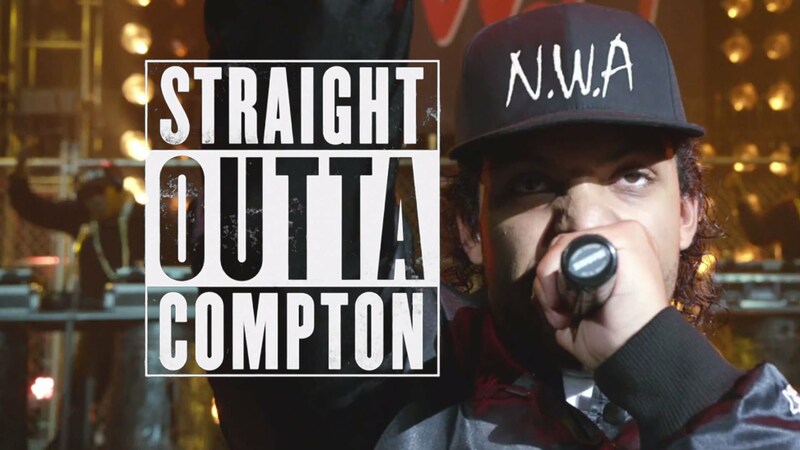 Fast forward to 2015 and director F. Gary Gray’s biopic Straight Outta Compton is bookended by the same two lines. In its two and half hour running time the cinematic counterpart doesn’t quite have the same groundbreaking impact, but it is an entertaining insight into one of music’s pivotal moments and its more famed characters. For those not so well versed in hip hop history, NWA (N***az Wit Attitudes) were a group that pioneered gangsta rap on the West Coast of America. Made up of Dr. Dre, Ice Cube, DJ Yella, MC Ren and Eazy E, NWA were the first group to bring the harsh and aggressive reality of black youth culture from the ghetto into the mainstream. The volatile unit took the nation by storm, bringing in adulation and outrage in equal measure. Their influence caught the attention of the nation and, later on, the FBI. NWA’s legacy and influence spread so far that 15 years on as a white teenage boy from a leafy middle class suburb in England, I could still revel in their exciting world.